In Hungary you can always bet that it is a really hot Formula 1 Weekend with extremely high temperatures. So also this time, there were 40-45 degrees and up to 60 degrees asphalt temperature. This means that all teams had a lot to do with the tires. After a quite good start of Lewis Hamilton (he started on the pole) there were a lot of overtaking situations and in lap 10 Hamilton opened the session of pit stops. Apart from that there were a few collisions and 4 cars became out of the race (Rosberg, Bottas, Gutiérrez and Sutil). 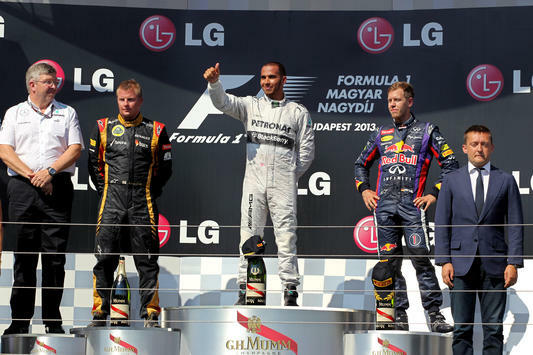 At the end Hamilton won the Hungary GP ahead of Raikkönen and Vettel. Congratulations to him and his team Mercedes!